Need a good gamepad setup for monster hunter tri. i decided ill try it out, do i need to clear all the other buttons or do i keep them as default? 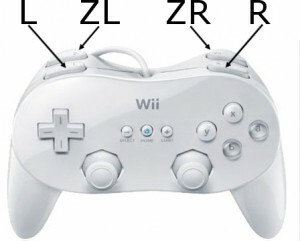 what are ZL and ZR buttons? (07-06-2013, 07:27 AM)exionn Wrote: do i need to clear all the other buttons or do i keep them as default? You can keep them as default (don't change IR settings). Just make sure your gamepad is selected in "Device"
(07-06-2013, 07:27 AM)exionn Wrote: what are ZL and ZR buttons?